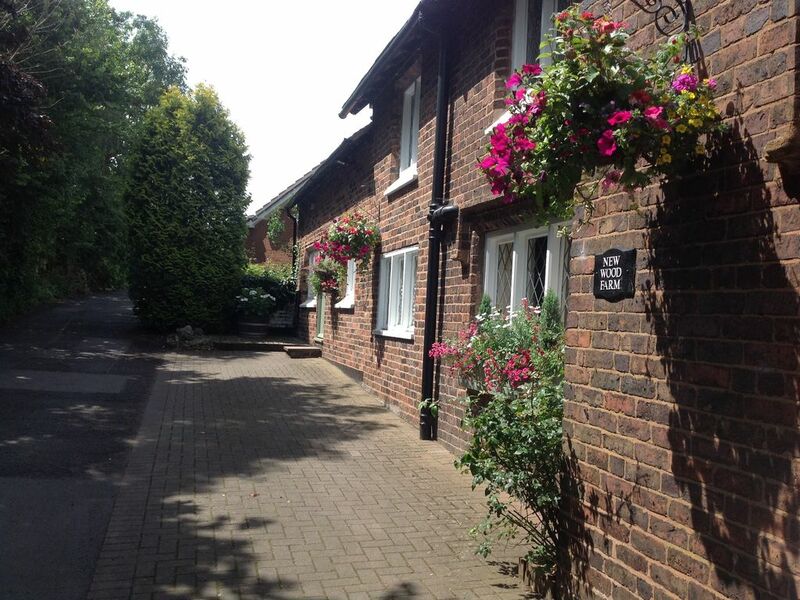 The Barn is situated in a quiet Lane surrounded by horse fields yet close to all the local amenities. It is situated between the Town of Stourbridge and the village of Kinver. It has an open plan living room area. The kitchen is fully fitted with an gas oven and an electric hob, fridge and microwave. The living space has 2 comfy leather sofas and a flat screen colour TV. There is a log burning stove for cosy nights but the Barn also has full central heating throughout. In addition there is also a free to play Wurlitzer juke box with vintage records which include Elvis, The Beatles and Frank Sinatra. The bedroom on a mezzanine level, reached via a spiral staircase, has a double bed and a shower room with toilet, shower and vanity unit. Also on the ground floor is a twin bedroom with two single beds and a further bathroom with a bath/shower, toilet and sink. There is a washibng machine in a utility cupboard. There is a small patio outside with table and chairs available for the summer months, although guests are free to make use of our large garden at the rear. Included in the price is free Wifi and all linen provided. Ample parking for 2 cars outside the front door in the Lane. Had a very pleasant and relaxing week in the West Midlands. The Barn was georgous and very comfortable with all the necessary mod cons included. Mick and Linda were wonderful hosts and went above and beyond to make us welcome. Their hospitality was exceptional and we have become good friends. Hopefully we can reciprocate their kindness and warmth when they decide to come to Ireland. We will definitely be back again. Thank you for that wonderful review. We really enjoyed meeting you both. Loved your travellers tales and the chocolate cake that you left. Hope we meet up again here or in Ireland. The Guinness tastes better in Ireland.